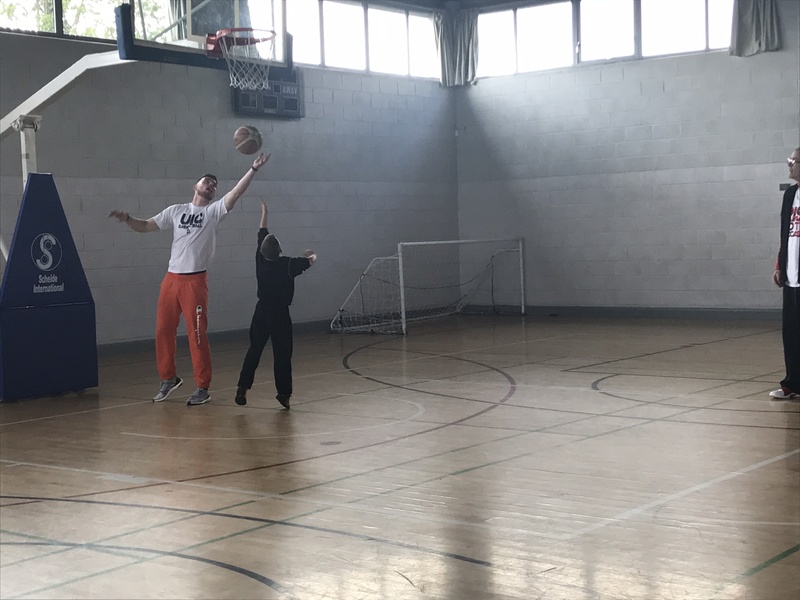 During May we were lucky enough to have two different sporting visitors to our school. On May 11th, Jordan Blount, son of our basketball coach, Garry, came to talk to the children from 3rd-6th class. 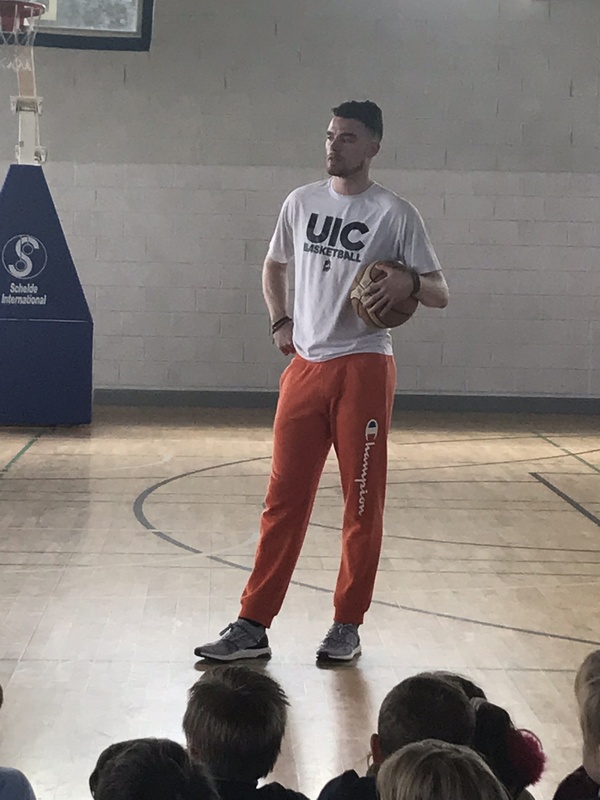 Jordan currently plays basketball with the University of Illinois at Chicago (UIC). 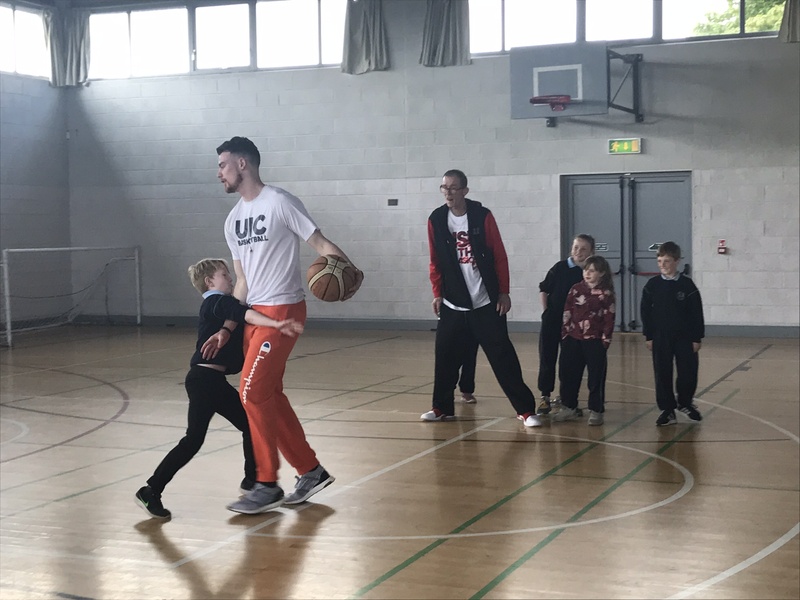 He talked to the children about how much time he spent practising when he was younger and also about how beneficial sport can be. He also talked a little about the importance of treating others kindly and fairly. He then gave us a demonstration of his skills. The children really enjoyed the experience. 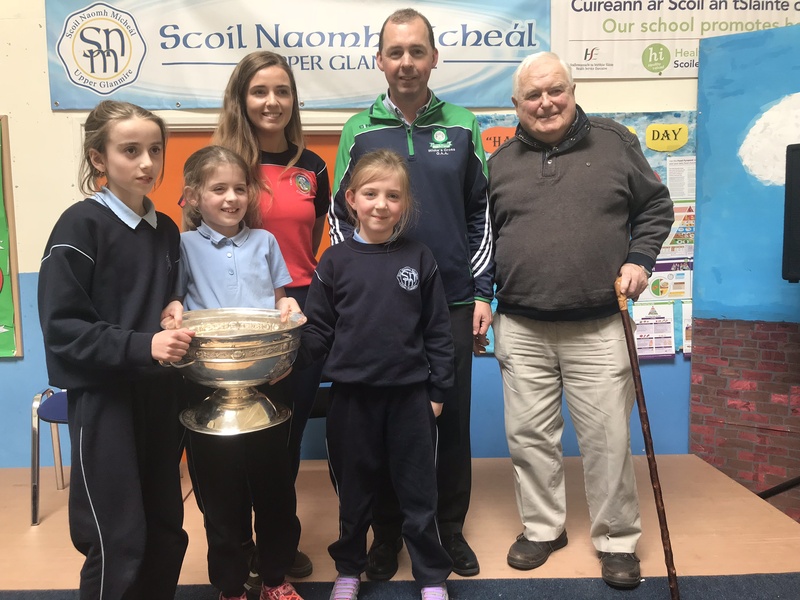 On May 17th, Cork camogie player and All-Ireland winner, Orla Cronin came to visit our school along with some members of White’s Cross GAA club. She brought the O’Duffy cup to show us. 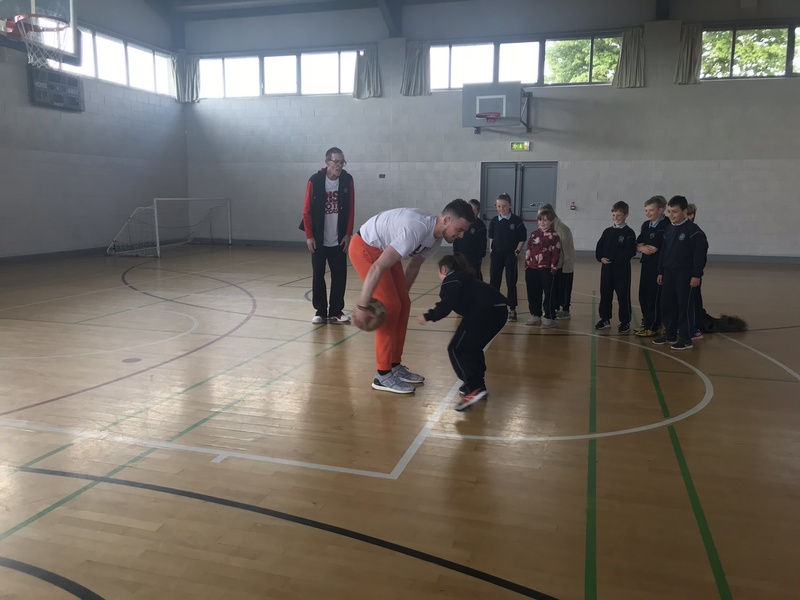 There were lots of excited GAA players in Third Class looking forward to seeing her. 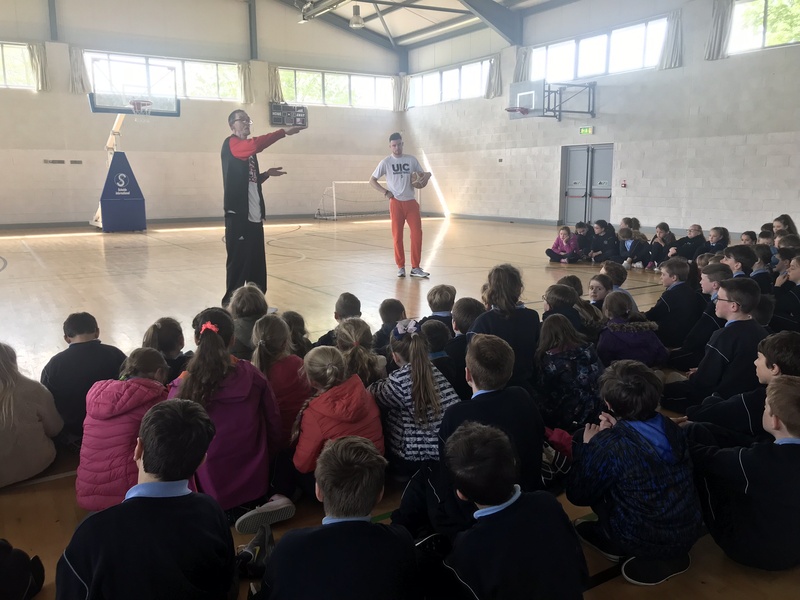 She talked to the children from First-Sixth Class about how important sport has been in her life and encouraged the young people in our school to take up or continue playing sport as a way to make friends and stay healthy.